My first thoughts when hearing this album: Evanescence, but less metallic. 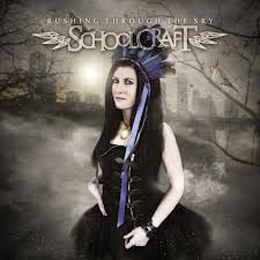 To start with Linddsay Schoolcraft’s voice sounds very similar to Evanescence’s Amy Lee. But the comparison with Evanescence does not end there. The music also is of a similar type, gothic, but in Evanescene’s case there’s a good dose of metal in the music. Schoolcraft in contrast is mostly only using a piano and percussion, with occasionally some other instruments mixed in as well. You’d be not far off if you’d call this music a mix between Evanescence, Enya or even Kate Bush, so it’s obvious this is no real rock album, but if you like delicate, soft, velvety vocals and music this might be something for you. As for me I’d rather listen to Evanescence.